From May 14th to 17th, the nation's telehealth/telemedicine industry will converge in Minneapolis for the 2016 American Telemedicine Association (ATA) Annual Conference and Tradeshow, a four-day gathering packed with sessions, experts, educational and networking opportunities, policy-making discussions, and lots more. Founded in 1993, the American Telemedicine Association is the "leading international resource and advocate promoting the use of advanced remote medical technologies," as the organization describes itself. The non-profit association operates with the goal of fully integrating telemedicine into healthcare systems worldwide, in an effort to improve the quality, access, equity and affordability of important health services. "ATA is recognized throughout the world as the primary authority about telemedicine and actively works with Congress, the administration as well as with other governmental bodies to eliminate barriers to the use of telemedicine," the ATA's website states. The annual ATA trade show and conference is a centerpiece of this campaign, providing a forum for experienced telehealth professionals and leaders, as well as groups and individuals new to the world of telemedicine. It's "the world's largest scientific meeting and exposition focusing exclusively on telemedicine with hundreds of presentations, posters and workshops." And with this year's historic legislation seeking to expand telemedicine coverage and accessibility making its way through Congress, there's more focus than ever before on the benefits of technology like remote patient management (RPM) and its potential to improve operational efficiencies and quality of care throughout the U.S. healthcare industry. More Time: "All tracks and concurrent sessions begin on Sunday at noon this year"
More Interaction: This year's "Lunch with the Mentors" program offers the chance for personal interactions "with some of the industry's most distinguished experts"
The ATA 2016 conference is also looking to maximize its social impact by launching the ATA Experience Zone, a new networking and communications hub for attendees. "Enjoy breaks and downtime at the Experience Zone while meeting up with colleagues, exchanging great ideas, and relaxing," event organizers explain. "There will also be a Media Wall where attendees can stay up-to-date on conference changes and reminders, participate in e-poster presentations and even see your tweets and social posts with the hashtag #ATA2016!" Also scheduled is a new ATA Startup Zone and Innovation Spotlight, offering the chance to see "some of the hottest start-ups" in the telehealth sphere present their innovations in technology and business development. Care Innovations® will be attending and exhibiting at the ATA 2016 Conference, and we'd love to see you there. Please contact us if you'd like to arrange a meeting in advance. 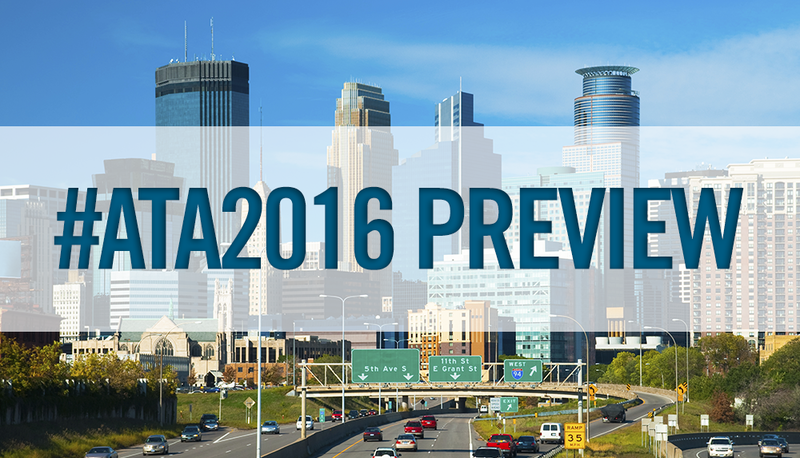 You can register for ATA 2016 here.